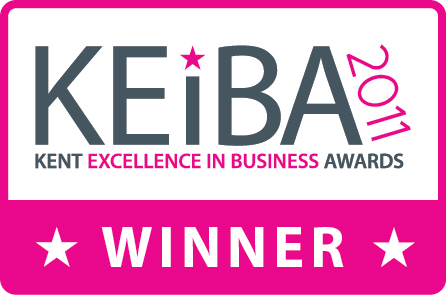 We’re thrilled that Luke Quilter, our MD has picked up an award for Sleeping Giant Media for Young Entrepreneur of the Year at the Kent Excellence in Business Awards 2011. A really well deserved award, that Luke himself acknowledged has come about through the talented people working hard at Sleeping Giant, and the great clients we get to work with. Awake the power proclaims the strap line of Luke’s company. He believes passionately in the power of the internet to grow business and Sleeping Giant Media is waking up enterprises to power. Sleeping Giant is a specialist search engine marketing company. It promotes online brand visibility, sales channels and helps clients engage directly with customers that actively search for their products and services via the internet. To achieve this, it uses paid search engine advertising (Pay Per Click), search engine optimisation (SEO) and social advertising via Facebook, YouTube and LinkedIn. Luke has always been passionate about online marketing. While studying for his Chartered Institute of Marketing exams, he was working on a marketing plan for his then employer Holiday Extras. Sleeping Giant was expected to become a part of Holiday Extras but the idea was abandoned and Luke pursued the idea in his spare time. In 2009, he and his business partner and friend Anthony Klokkou committed to it full-time. Luke’s ambition is to make Sleeping Giant THE established brand and first choice specialist search agency in Kent, and the leading technical and creative innovator in the UK search market. Luke is keen to continue his studies, pursuing another Masters degree before he turns 30 and learn an additional European language to help his business grow internationally. “I believe hard work and dedication are a requisite for any success, but a confident and well thought out goal-driven approach has helped me to achieve success.